At the foot of the Sierra Nevada Mountains lies the exquisite city of Granada. If you’re planning a trip and wondering what to see in the city, here are some ideas to help you catch the top attractions. 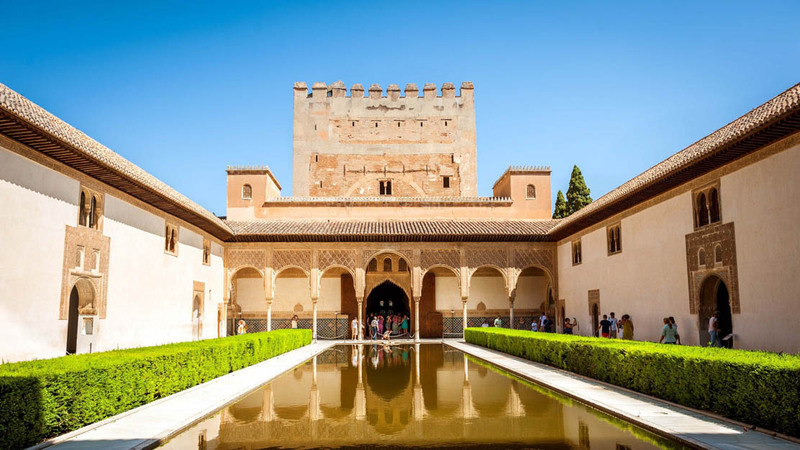 The Alhambra Palace and fortress is a prime sight to see and tour when in Granada. Steeped in rich history and visually breathtaking, what’s not to like? 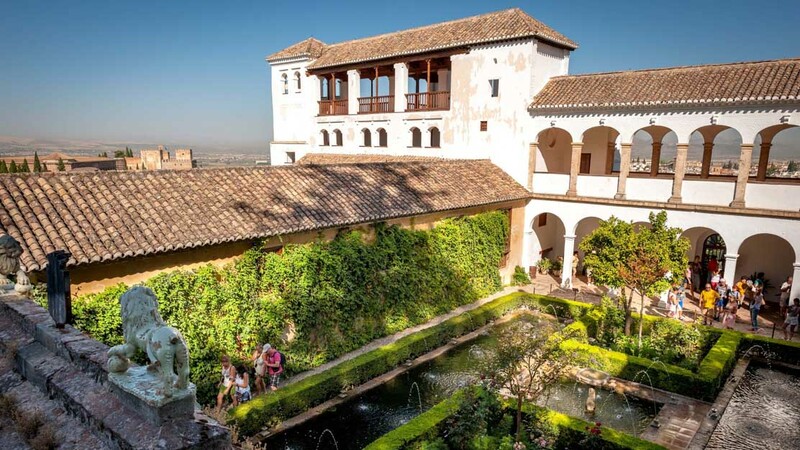 The stunning gardens surrounding the Palacio de Generalife make it one of the city’s top attractions. If you really want to experience the space, tours are avaliable. 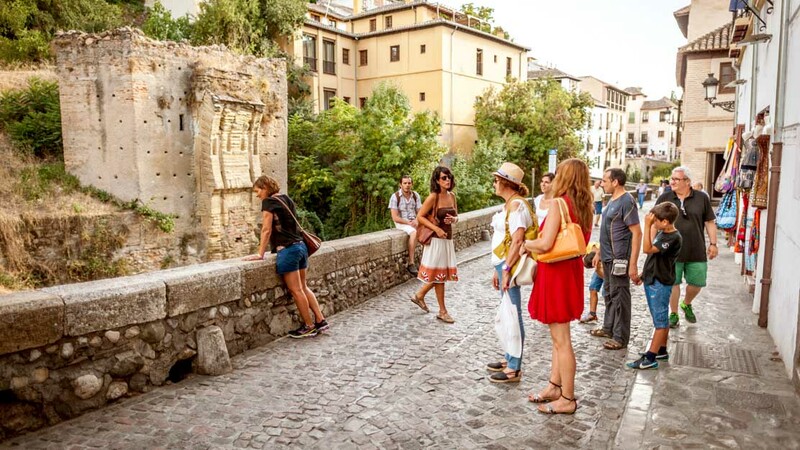 A world heritage site of meandering medieval Moorish streets make Albaicin a perfect sightseeing spot and really give a flavor of the history of the region. Also called the Cathedral of the Incarnation, with impressive architecture both inside and out, this is one site you do not want to miss when you visit the city. The Palace of Charles V was once ruled by the eponymous Roman Emperor. 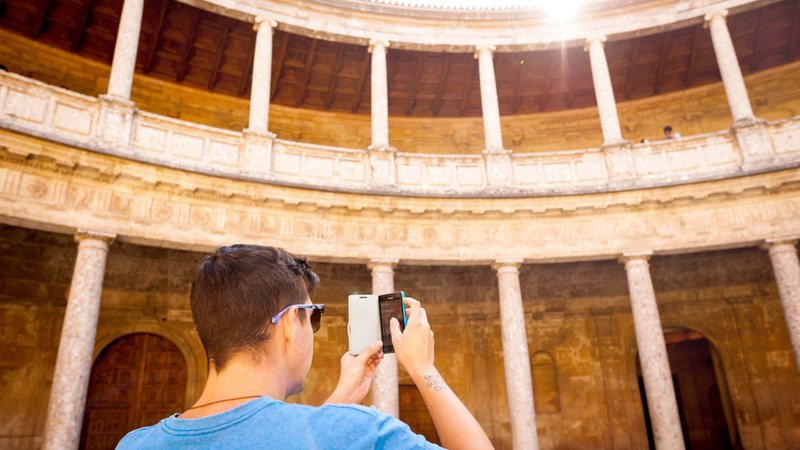 And a visit to the impressive circular patio is one of the most popular things to do in the city. 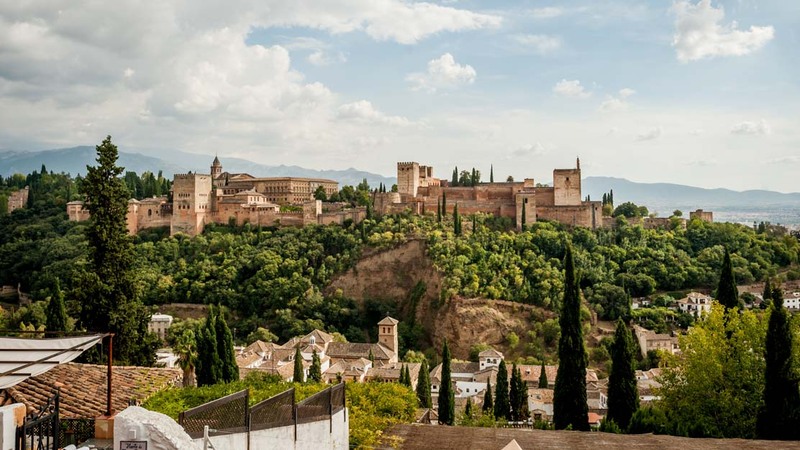 For [panoramic views of the Alhambra and Sierra Nevada, Mirador de San Nicolas is the spot to visit. Being a popular tourist attraction, there's always a great atmosphere, especially at sunset! After all that city sightseeing, you might be looking for a spot to relax. 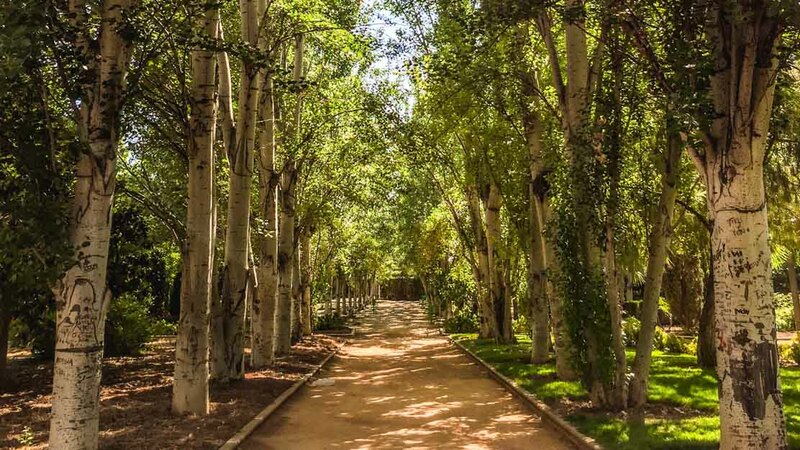 And this park, established in memory of the Spanish poet Federico García Lorca, is perfect! 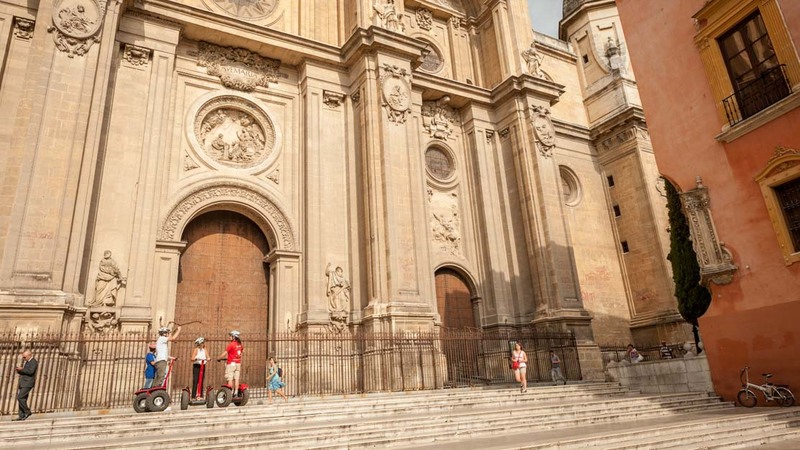 How many days to spend in Granada? With so much to see and do, a two-night minimum is recommended, but if you stay for three nights you'll see the sights without becoming too exhausted! You should buy tickets in advance to save waiting time and to guarantee entry, as spots are limited and sell out throughout the year! Spring and fall are the most pleasant, offering warm, sunny days!